Taj Trapezium Zone is an area of about 10,400 sq km which is spread over the districts of Agra, Firozabad, Mathura, Hathras and Etah in Uttar Pradesh and Bharatpur districts of Rajasthan. 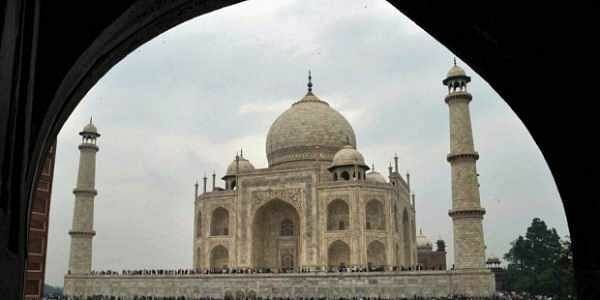 NEW DELHI: The Uttar Pradesh government today told the Supreme Court that it was "fully committed" to protecting the environment and ensuring sustainable development in and around the iconic Taj Mahal and the Taj Trapezium Zone (TTZ). TTZ is an area of about 10,400 sq km which is spread over the districts of Agra, Firozabad, Mathura, Hathras and Etah in Uttar Pradesh and Bharatpur districts of Rajasthan. The UP government told the court that they were considering a separate micro level plan only limited to due protection and preservation of the monument of Taj Mahal. In an affidavit filed in the top court, the state government said the provisions for protection and preservation of Taj Mahal have been included in the master plan of Agra 2021. "It is respectfully submitted that the state is fully committed to protect environment and ensure sustainable development specifically in and around the Taj Trapezium Zone," the state said in the affidavit. "State further undertakes to follow environmental law and all orders of this court diligently and faithfully to ensure balance of ecosystem of the Taj Trapezium Zone," it said. The counsel appearing for the state mentioned the matter before a bench comprising Justices Madan B Lokur and Deepak Gupta and sought permission to file the affidavit. The bench agreed to the submission and permitted the state to file its affidavit. The affidavit has been filed by the state in pursuance to the October 27 order of the apex court which had directed it to submit a comprehensive policy on preservation of Taj Mahal and the TTZ. The apex court had earlier stayed its order directing demolition of a multi-level car parking being built near the Taj Mahal and had asked the authorities to maintain status quo at the site. Environmentalist M C Mehta, who has filed a plea seeking protection of the Taj from the ill-effects of polluting gases and deforestation in and around the area, had earlier told the bench that TTZ was an "ecologically sensitive area" and the government should have come out with a comprehensive policy for preservation and protection of Taj. The apex court, which is dealing with a petition filed by Mehta, has been monitoring development in the area to protect the Taj Mahal, built by Mughal emperor Shah Jahan in the memory of his wife Mumtaz Mahal in 1631. The historic mausoleum is also a UNESCO World Heritage Site. The top court had earlier passed a slew of directions to protect the monument.